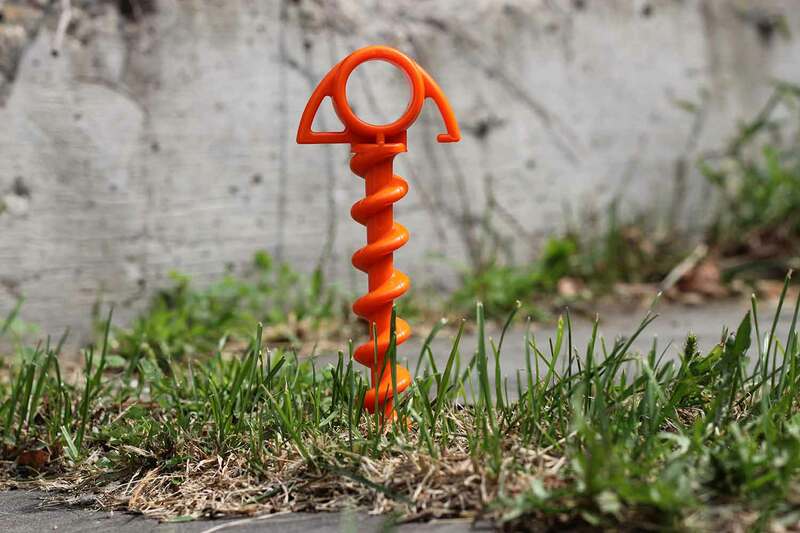 Orange Screws are sold as the “ultimate ground anchor.” New this year, the multiuse stakes can hold hundreds of pounds when threaded deep into dirt. Last weekend, during an unexpected storm, I put a pair of the polycarbonate skewers to the test. Black clouds cut over our campsite, a gale rocking trees from the north. 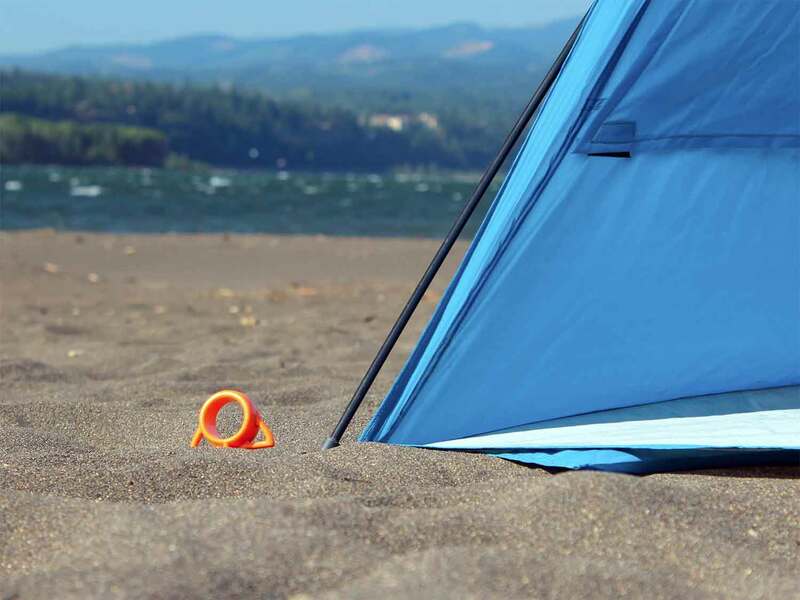 My tent, anchored with short aluminum stakes, bucked and caved in, its front wall scooping wind like a sail. Fortuitously, I had a set of the “ultimate anchors” in a bag, and I ran to hold down my shelter before it took to the sky. In a few twists, the screws were in, the tent locked tight to the earth. As ground anchors go, these ones are burly. A size large measures 1 foot long and weighs a few ounces. Its threads churn solidly into mud, dirt, grass, or sand. 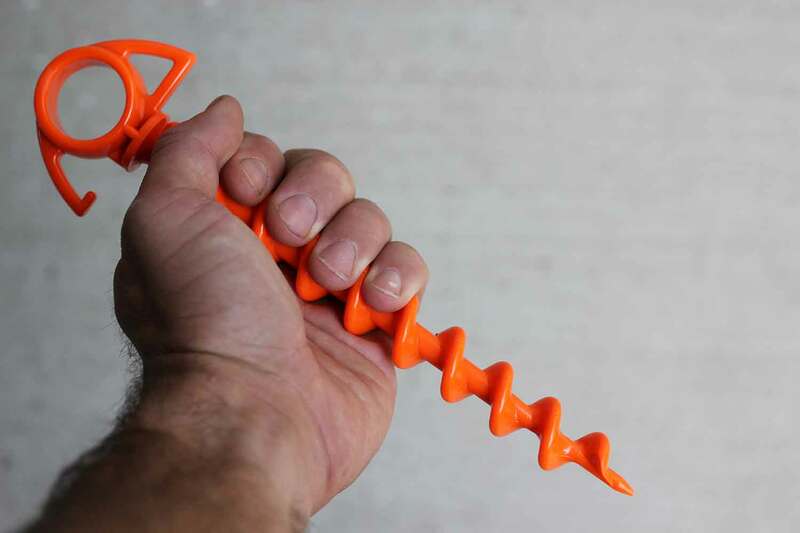 The small company, based in Washington, sells the screws for people in need of a quick, strong anchor to secure a tarp or tie up a dog. At my campsite, we staked a 4-month-old puppy on a leash. Despite leaps, yips, and tugs while we ate dinner nearby the dog stayed tethered to the ground. The size large screws cost $12 apiece. A smaller version, at 9.5 inches long, go for $6. There are many competitive products, including simple metal twist anchors at a hardware store. Orange Screws are a nicer option and easier to use. They come in a clear cylindrical case that fits through the eyelet and doubles as a crank arm to give more leverage as you twist (see image above). Obviously, these need soil to work, and rocks will hinder deployment like any other stake. If it’s not driven all the way to the eye, you’ll need to figure out a way to attach a line as close to the ground as possible to reduce leverage. This is easy thanks to the large ridges in the auger shape. 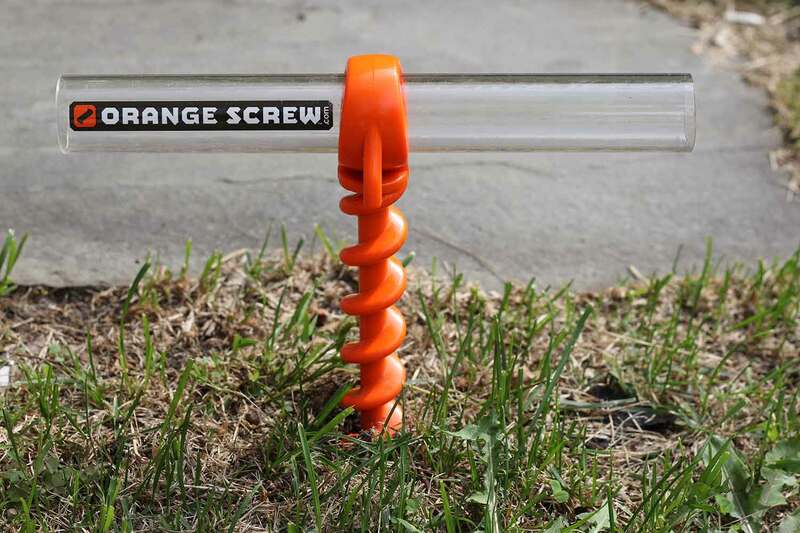 Made of 100% recycled materials, and manufactured in the U.S.A., Orange Screws are a neat upgrade if you’re in need of a quick, solid connection to the earth.